For years I've been using the Panix Unicode Text Converter to create ironic, weird or simply annoying text effects for use on Twitter, Facebook and other plain text-only venues. 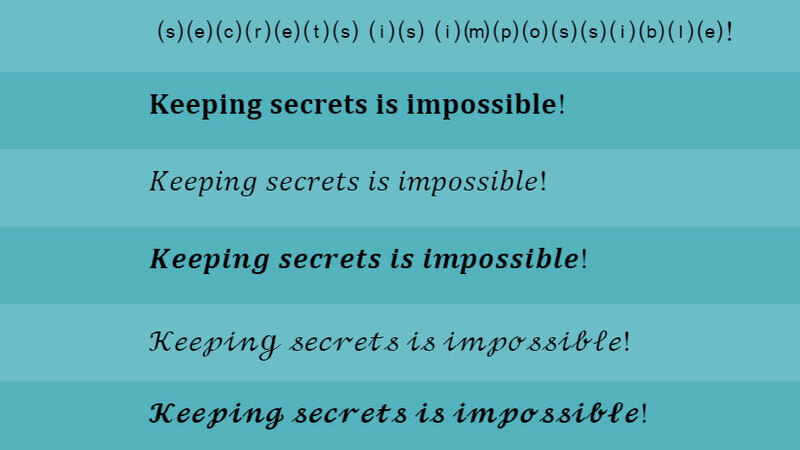 But now there's a new kid in town, YayText: "Super cool unicode text magic. Use s̶t̶r̶i̶k̶e̶t̶h̶r̶o̶u̶g̶h̶, 𝐛𝐨𝐥𝐝, 𝒊𝒕𝒂𝒍𝒊𝒄𝒔, and 🅜🅞🅡🅔 on Facebook, Twitter, and everywhere else." 𝕶𝖊𝖊𝖕𝖎𝖓𝖌 𝖘𝖊𝖈𝖗𝖊𝖙𝖘 𝖎𝖘 𝖎𝖒𝖕𝖔𝖘𝖘𝖎𝖇𝖑𝖊! Now, like me, half your messages will appear to half your acquaintances as a series of meaningless little empty boxes. As a graduate of the “rubbery mutilated omelet” school of scrambled egg preparation, I am mocked by this chef’s obvious yet perfectly successful method. The secret ingredient: staying with the eggs from pour to presentation so they never congeal. The key appears to be having something other than bare hands to crunch it against, such as concrete. But commenters insist this can be accomplished with just the palms of the hands by pushing against the shell’s seam.